George Washington Carver and Booker T. Washington, two of the foremost African-American leaders of the late 19th and early 20th century, were born slaves. They were ordinary men engaged in creating educational opportunities for disadvantaged students who were eager to learn. Carver and Washington shared a belief that education and hard work could overcome any disadvantage. They inspired a generation to strive for success against all odds. You can celebrate the lives and legacies of both men at Tuskegee Institute National Historic Site, on the campus of Tuskegee University. Booker T. Washington, Tuskegee Institute's first president, was 25 years old when the doors opened for the first day of classes on Independence Day in 1881. He built the school into a major center for African-American education, hiring the brightest instructors possible, including George Washington Carver, American scientist, botanist, educator, and inventor. Carver moved from his birthplace of Diamond, Missouri to Ames, Iowa in 1891 to study botany as the first African American student at Iowa State University. After completing graduate studies, he was hired in 1896 to oversee the agricultural department at Tuskegee Institute. Under Carver's leadership, Tuskegee's agricultural department became world renowned for innovative research and training techniques in plant biology. Carver developed new uses for peanuts, sweet potatoes, soybeans, and pecans by inventing hundreds of products including dyes, plastics, and paints. President Theodore Roosevelt and Mahatma Gandhi admired Carver's work and sought his advice regarding agriculture and nutrition. 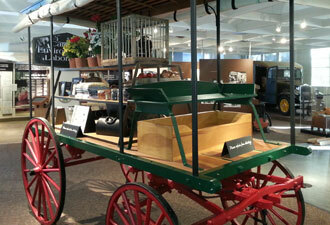 During his tenure at Tuskegee Institute, Carver established the Jesup Wagon and the Movable School to visit rural farmers and educate them about nutrition and agriculture. Both are now housed at the newly-renovated George Washington Carver Museum. The museum will reopen with new exhibits and a fresh interior in spring of 2014. Visitors will be able to tour the exhibits on their own and take part in ranger-led programs. 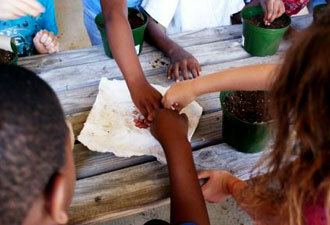 After visiting the Carver Museum, the next “must do” is a tour of The Oaks. Washington's home, The Oaks, is a sprawling, Queen Anne style house. It was designed by Robert Taylor, the first African American graduate of MIT and constructed by students from Tuskegee Institute. The three-story home contains Washington's original desk and hand-carved chair, a gift from the parents of Chinese students who attended the Institute. Tours of The Oaks are scheduled Monday-Saturday or by appointment for groups of ten or more. The George Washington Carver Museum and The Oaks are centered in the historic core of Tuskegee University. Site tours led by park rangers include stops at the Carver and Washington grave sites upon request. 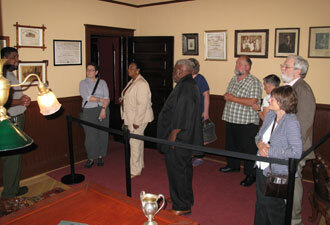 Tuskegee Institute is the only national park on the campus of a historic black college or university. Join us for a visit and walk the grounds of legends. During your stay in Alabama, don't forget to visit the Tuskegee Airmen National Historic Site and the Selma to Montgomery National Historic Trail. Prepare to be inspired!